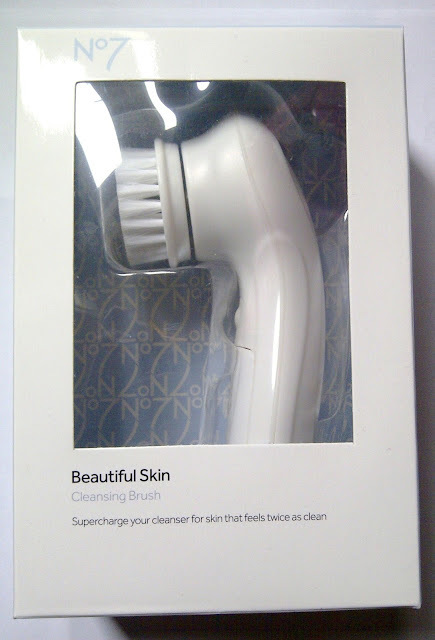 I thought I'd give you a quick run down of my first impressions of this gadget, No7's Beautiful Skin Cleansing Brush. 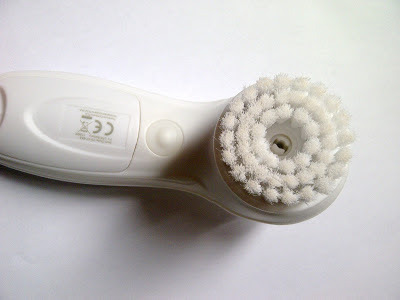 I have previously eyed up the Clarisonic but with a hefty £100 price tag, it was out of the question! This little gadget was worth a try with claims of 'Supercharging your cleanser for skin that feels twice as clean'. I struggle with acne so I thought this tool would be a perfect way to exfoliate to renew skin cells and perhaps help with scarring. 2)Apply your No7 cleanser as normally instructed, leaving your cleanser generously covering your forehead, cheeks and chin. 3)Wet the brush head and press the power button. 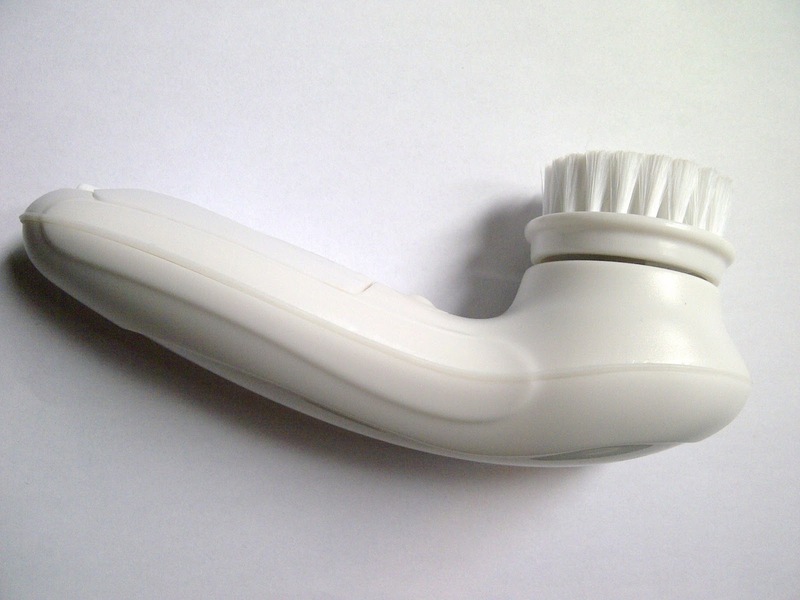 The Cleansing Brush offers a choice of 2 speeds. Pressing the power button twice will increase the brush speed and will offer a deeper clean. 'Dependent on use we recommend that you replace your brush head every 3-4 months to ensure the brushes performance is maintained. Replacement brush heads are available to purchase in store,' says No7. I'm going to use mine with the Liz Earle Cleanse and Polish just as I have so much of it left and don't want to buy the No7 one before I finish it off. As you can see the brush head has 3 sets of bristles. The gadget has two speeds, a softer, slower setting and faster one for deep cleaning. My skin does feel a lot smoother and softer. It's a strange sensation to get used to though. I do agree with what No7 state, this would not be good for sensitive skins, I would only recommend this to oily, tough skins that can take the deep exfoliation. I'll will be writing full review in around 2-3 weeks time. I've heard through the grape vine that the replacement brushes will soon be in stock and will cost £8 for two heads, which is a reasonable price. Will you be buying the No7 Cleansing Brush? This sounds really good! And it's a great price too, I always thought the Clarisonics were just too expensive. Looking forward to hearing how you get on! I'm going to pick this up for sure cos I wanted to try a clarisonic too but the price put me off but at £15 who can complain. 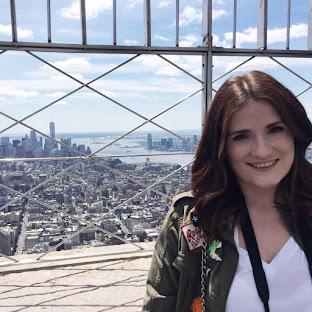 I am a new follower, check out my blog and maybe follow back?